As a result of the Grenfell tower fire disaster in London earlier this year, there has been much discussion throughout the Australian building industry around the use of foam cladding in the construction of large buildings. Some industry experts claim that foam cladding is an inferior product to bricks and mortar, yet foam cladding has been a successfully used building material for residential homes in Australia for over 20 years. New home buyers should be given input into the materials they choose to have used for the construction of their new home, whether they choose to build single storey designs, two storey designs, granny flats or apartments. Owners should not be afraid to ask their builder for information on the products they use in order to ensure the future safety of your new home and your family. At Great Living Homes the company director spent years researching and testing (in conjunction with CSIRO in Sydney) of the foam cladding product they use called Cladtex, before ever using it in their building projects. The EPS foam component of Cladtex contains a fire retardant which means it will not ignite and can self-extinguish small fires; it has also been tested for weather performance (cyclonic conditions) as well as fire and passed all testing with flying colours! In addition to regular testing of the Cladtex product, Great Living Homes have also attained written confirmation from their EPS foam supplier that all products they have ever been supplied, or will be supplied, do contain the fire retardant. This guarantee was obtained in order to demonstrate the confidence they have in the products they offer their clients. EPS foam cladding has been used in Europe, New Zealand and America for over 40 years and in Australia for around 20 years. Cladtex cladding has been rated for cyclone prone areas, bushfire zones to BAL 29 and approved by two independent engineering companies after meeting all of the Building Code requirements. Foam cladding should not be used as a structural element and it needs to be correctly installed according to the manufacturer’s specifications to avoid problems with water leaks. The main benefits of Cladtex include the 6 star energy rating it achieves along with its flexibility, strength, appearance and cost. To be certain the product is installed correctly you can conduct your own research into the correct installation procedures, or you could even hire an independent building inspector to assess and confirm all materials and installation methods meet the relevant building codes. 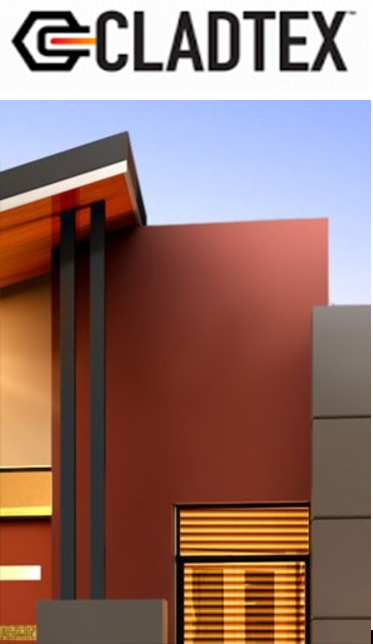 You can rest assured that buying a home that is built using the Cladtex product (distributed by Proline Products), whether you are looking at single storey or two storey house designs, you will have a safe and high performing product which provides an attractive element similar to a rendered masonry appearance to your house façade.